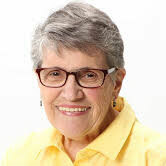 Lucie Leblanc Consentino is a leading Acadian genealogist. A native of Lawrence, Massachusetts, Lucie maintains a web site–Acadian and French Canadian ancestral home—that is widely regarded as a repository providing reliable, original and comprehensive genealogical data. She has been published in several Acadian and French Canadian journals and speaks regularly at events in the United States and Canada. Lucie delivered the keynote address for the 250th anniversary of the deportation of Acadians in Boston. She has been interviewed by many mainstream media outlets about her genealogy work including Radio-Canada, Radio-Canada television and most recently by la voix acadienne on Prince Edward Island. Lucie is a member of the Association of Professional Genealogists, the Daughters of the American Revolution and Administrator of the Mothers of Acadia DNA Project, to name a few.